If you are planning a holiday in Samoa, you would be foolish to just laze around the pool and spend your time sipping cocktails. Not that there was anything wrong with that, I find this quite pleasurable myself, but Samoa has so much more to offer, and it would be sad if you missed out on some of the wonderful Samoan sights. 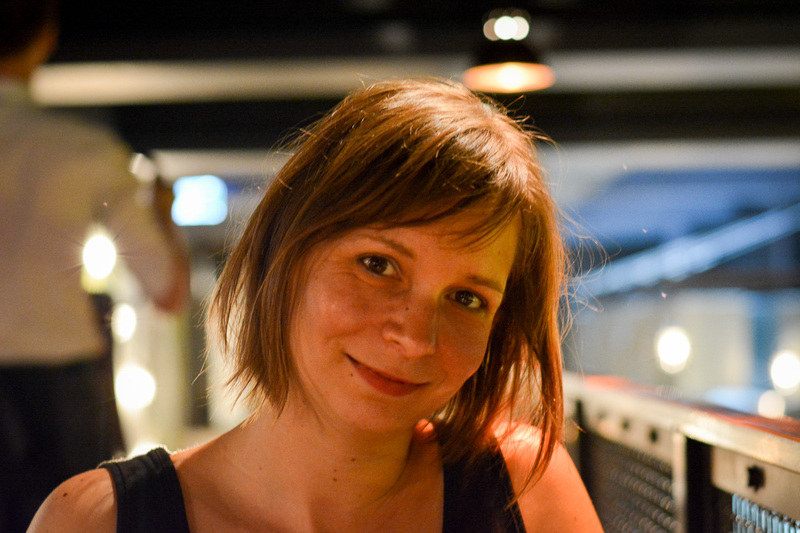 Let me introduce you to three potential day trip ideas that you can either see with an organised tour, or when renting a car to discover the island at your own pace. All three suggestions promise experiences that you will remember for a lifetime. 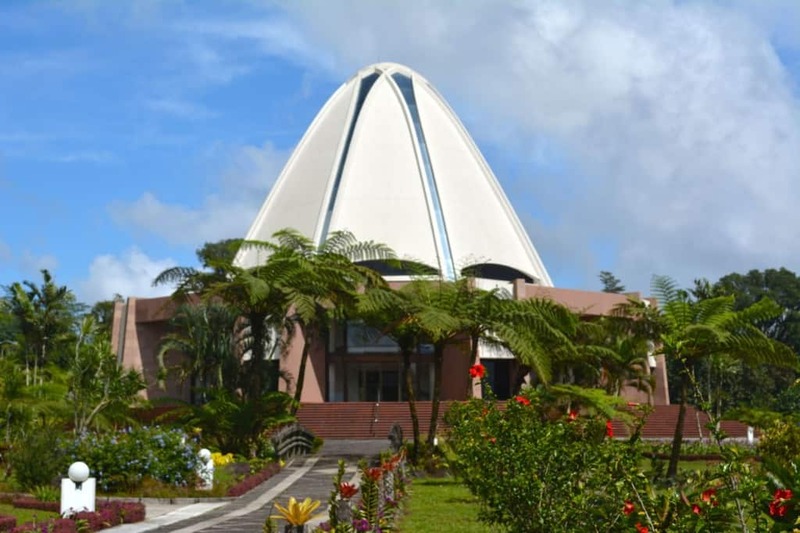 The Baha’i House of Worship is located in the outskirts of the Samoan capital Apia. It is home to a growing community of Baha’i believers, currently there are 5 million worldwide, a new-ish faith that is not following any specific god, but rather promotes the acceptance that god lies within ourselves and that it up to us to interpret his wonders ourselves, as mankind has now reached a degree of maturity that allows the pursuing of a personal faith rather than an organised religion (don’t quote me on this, but this is how I understand this belief). From time to time God sends messengers to the people, Mohammed, Jesus, Moses, and so forth, for guidance and revelation. The temple in Apia is remarkable in two ways: not only is it a beautiful building set in lush gardens that stretch over 20 acres, it is also one of only eight Baha’i temples worldwide. One temple by the way is found on Sydney’s Northern Beaches, and it is interesting to see how different in style the two buildings are, even though they have the same purpose. The Baha’i is a very tolerant, accepting and peaceful faith, and visitors to the temple are warmly welcomed. The gardens that surround the temple are simply stunning – filled with tropical flowers and trees, immaculately maintained. They are open to the public for reflection or simply to enjoy their beauty. Notice the diamond shaped pattern on the pathways? Nothing is done randomly, it all has a certain purpose. The same applies to the floor plan of the temple itself. Stand in the middle of the hall and look up at the centre of the dome and you will see how all lines come together in a star shape. Snorkelling is also a wonderful experience in Samoa. There are a number of great spots that are cheap to access and that are offering all the necessary facilities and gear hire. I spend some time at the gorgeous Palolo Deep Marine Reserve which is just a couple of minutes outside of Apia. Access is a bit rocky, so you will need flippers or at least reef shoes to get into the water safely. The actual snorkelling spot is a bit further out, and it might look like a bit of a challenge to swim out so far, but as a matter of fact once you are in the water you won’t notice. There is a track to follow, marked by buoys along the way. From the last buoys its only a couple of strokes until you reach a deep blue hole. Snorkelling here is excellent – there are so many fish, big ones too, and you will definitely see a lot of variety. The fish like the steep walls of the reef, so all you need to do swim along the edges. If you are lucky you might even see a sea horse! The Papapapaitai Falls have a complicated name, but make a beautiful sight. Just off the Cross Island Road you will find a small bay to stop. The falls can easily be made out in the distance – a spectacular drop down into a deep gorge. I have tried to find out how deep the drop actually is, but I couldn’t find an answer anywhere. Either way, the falls definitely belong to the largest in Samoa, and it’s really convenient to just quickly pull over and enjoy the views. Further to the left you can make out a crater that touches the clouds. I’ve been told that the lake inside the crater contains goldfish or carp or some other kind of introduced species. Apparently, the German colonial masters had decided one day to drop fish in the pond for their entertainment and enjoyment. And I have also been told that these fish can still be found today. I cannot verify this story but find it remarkable that some Europeans found it worthwhile to import fish to create their very own goldfish pond. These are just three examples of the beautiful things that can be visited and viewed in Samoa. The To Sua Ocean Trench and the Robert Louis Stevenson Museum are two other examples, which I will talk about on the blog very soon!